Food to Go packaging range! Since first achieving BRC AA grade certification in 2016, Priory Press Packaging has continued to expand its product offering beyond ‘conventional’ carton board packaging whilst maintaining its high manufacturing standards and second-to-none customer service. In our ongoing efforts to help our customers and local businesses go plastic-free comes our completely compostable food to go range. With the local food-to-go market becoming more saturated than that of a bacon butty bap, branded food-to-go packaging is a bona fide bet to help imprint your product in your customers fondest foodie memories. 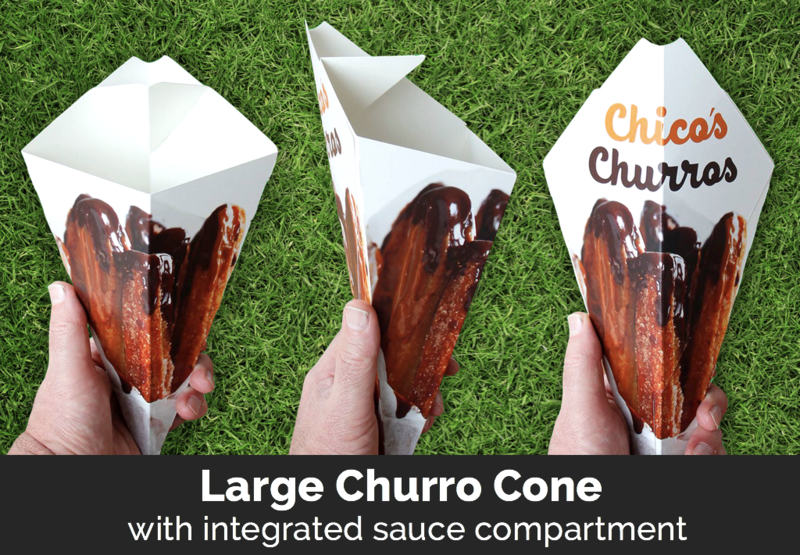 With your logo, brand colours, social media handles and slogan proudly printed on your food to go packaging, you can stand out from the rest of the crowd, or at least, the rest of the churros. In a millennial era where photographing your food seems very important, you simply can’t afford to miss out on those social media moments that will help local foodies find you, love your product and award you some real street credential. In addition, in an era of conscious consumerism it’s a bonus to be able to promote your green credentials. The good news? We can help you do both. All of our food to go packaging is completely compostable, biodegradable and fully recyclable. It is printed in our BRC AA Grade certified factory on FSC sustainably sourced food grade board with vegetable-based inks. 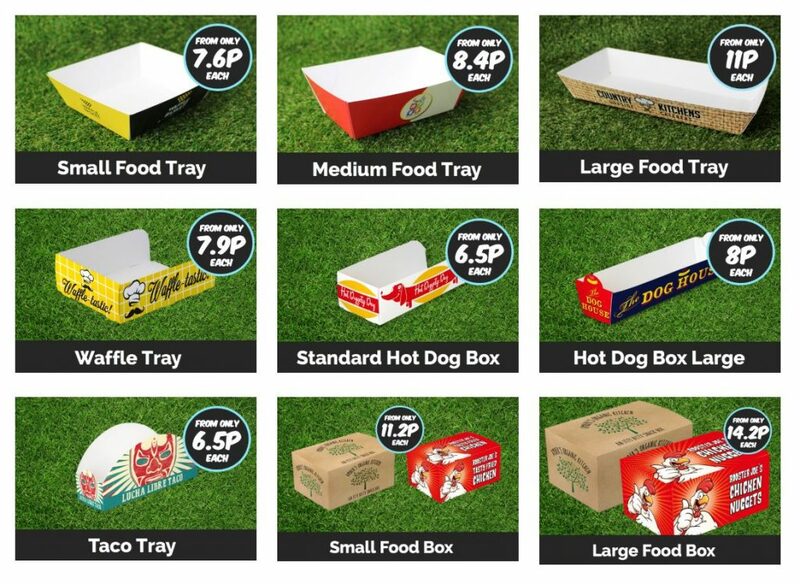 Launching our range with small, medium and large food trays, waffle trays, small and large hot dog trays and small and large food boxes we have all the food-to-go franchises covered. From prices as low as 8.4p each for a branded medium food to go tray and complimentary brand design and full colour printing when your logo is supplied, this is a hot offer you won’t want to miss. So whether it’s a waffle to savour, or a hot dog gone in a hot-minute, putting your brand in the customers hand is just as important for the food-to-go market and might just catapult your product into a foodie frenzy. PreviousPrevious post:4 Low Fat, No Fat Foods!NextNext post:Meet the Designer – Lora!